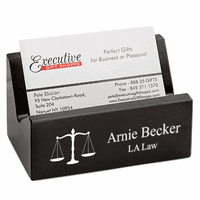 Help your favorite jurist tidy up their desktop, and enhance its look, with this desktop business card holder. Made of solid black marble, it holds up to twenty five business cards so they will always be available to hand out to potential clients and colleagues. 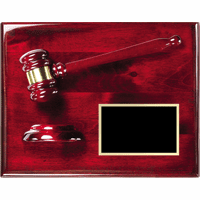 The black marble face comes with a laser engraving of the legal scales emblem, the symbol of law and order. To the right of the emblem, add your own personal inscription free of charge. 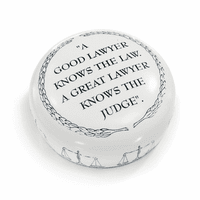 Popular choices include a name and job title or a name and law firm. 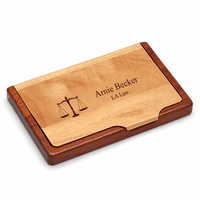 This customized card holder for legal professionals will coordinate perfectly with just about any office motif. 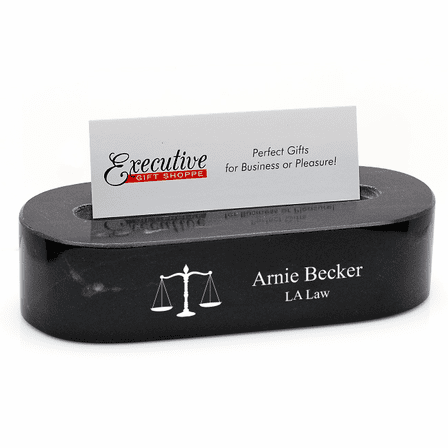 Dimensions: 5 1/8" x 2" x 1 1/4"